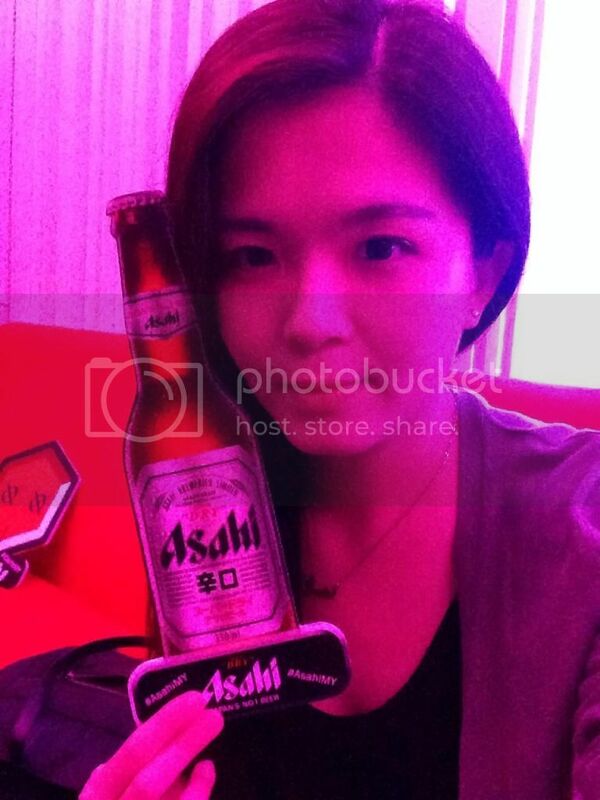 A selfie of Asahi props. 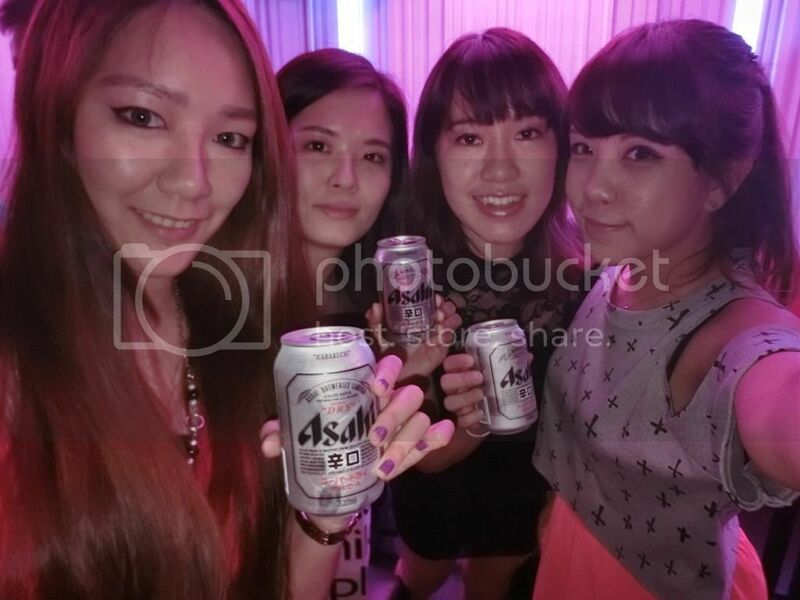 Thank you Asahi for the free flow beer! Anyway I seriously enjoyed this chilling session with the bloggers as I got to keep my mind off from work and have fun with them. Ever since I started working, I do not have much time for myself especially after work because I need to get up really early to work everyday. 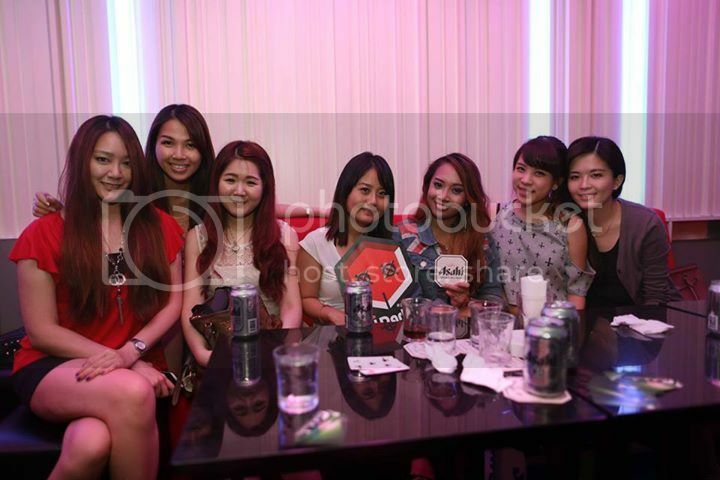 FYI, the iDarts Malaysia outlets coupled with a vibrant concept of creating unforgettable fun times aims to bring about a new activity catered for everyone. 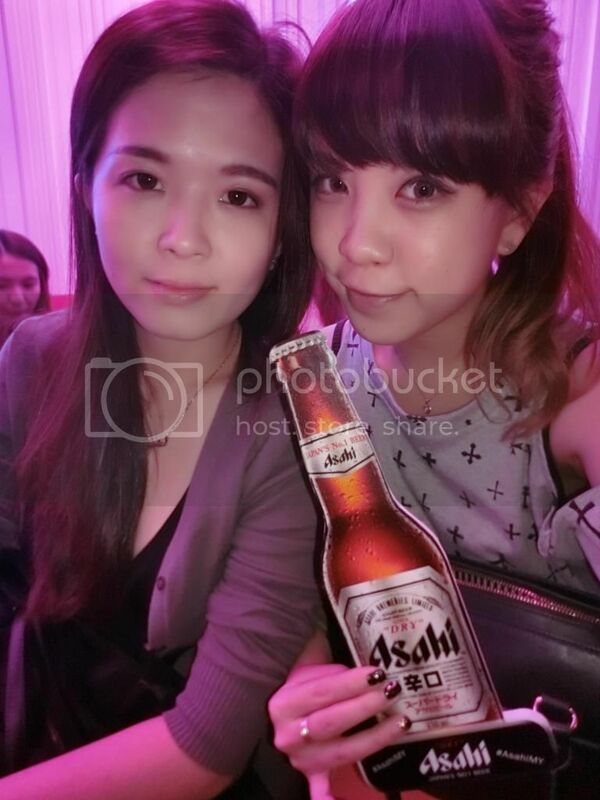 This is not the usual club scene with just upbeat music, drinks and people mingling around. At iDarts, you will see men and women of all ages sharing a good laugh over a lively game of darts. 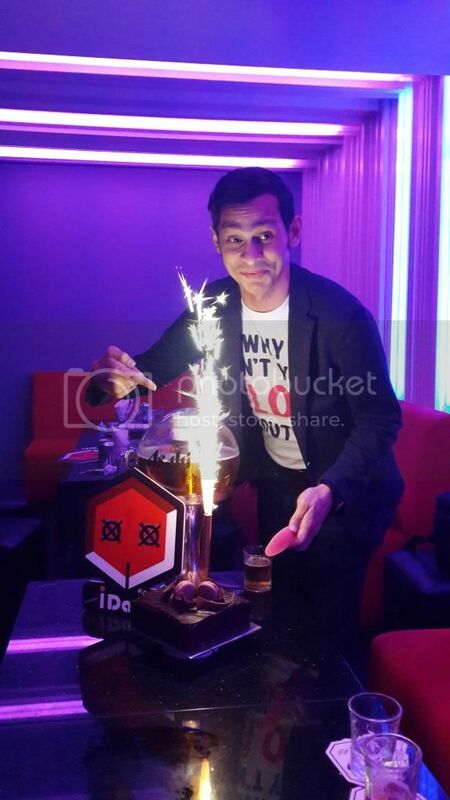 iDarts Bar/Club concept was first established 4 years ago in Hong Kong and has since expanding its business and culture to the South East Asia regions such as Taiwan, Singapore followed by Malaysia in the 3rd quarter of 2011. 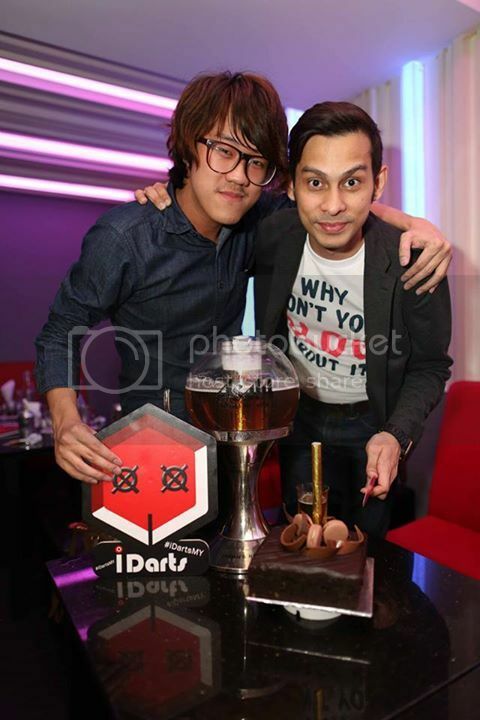 Its debut store, iDarts Hex located at The Scott Garden, Old Klang Road is wholly owned and operated by iDarts Malaysia, the principle. 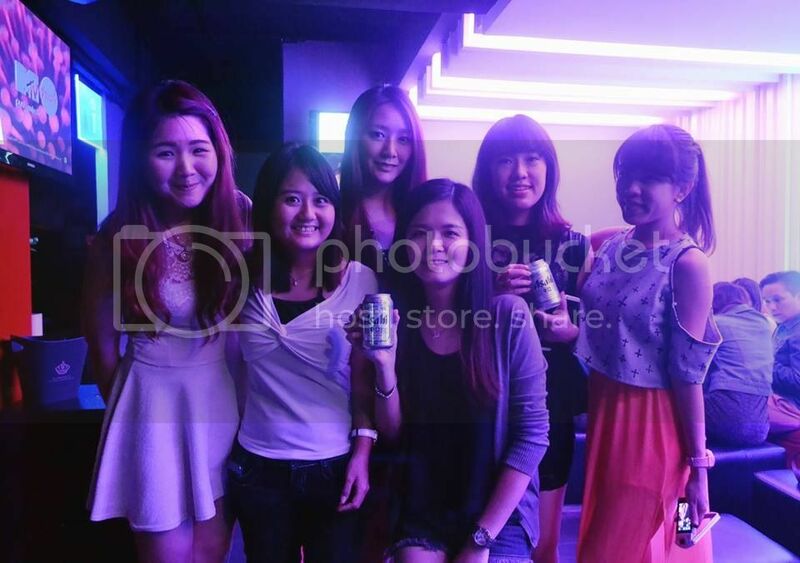 Till date they have a total of 4 stores located in Kota Damansara, Puchong and Jalan Universiti, PJ. 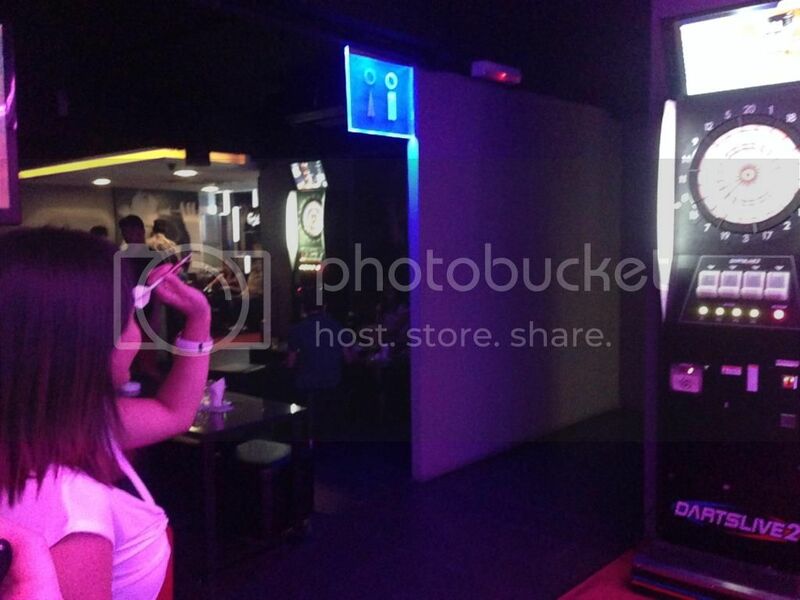 Electronic dart machines - DARTSLIVE2 at iDarts. 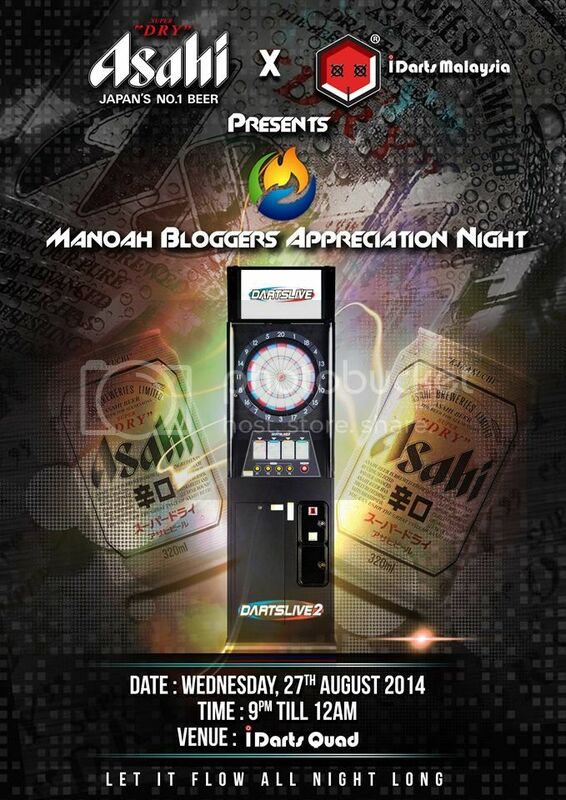 One of the amazing features of iDarts Malaysia is their social network machines. 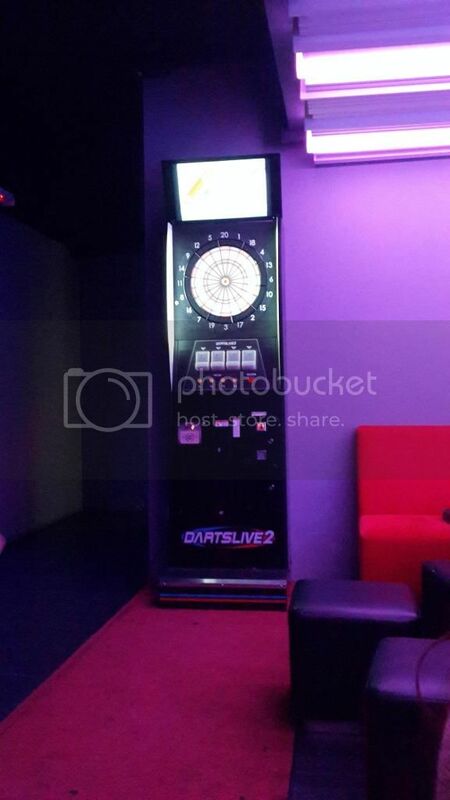 Their electronic dart machines - DARTSLIVE2 which are made by SEGA, Japan, comes along with 4 DARTSLIVE members card slots that allows you to compete with others, at the store or even online and still keep the score. (: Speaking of the night, I had the opportunity to try out playing darts for the first time. If you are ever feeling doubtful about your abilities at hitting bullseye, fear not! 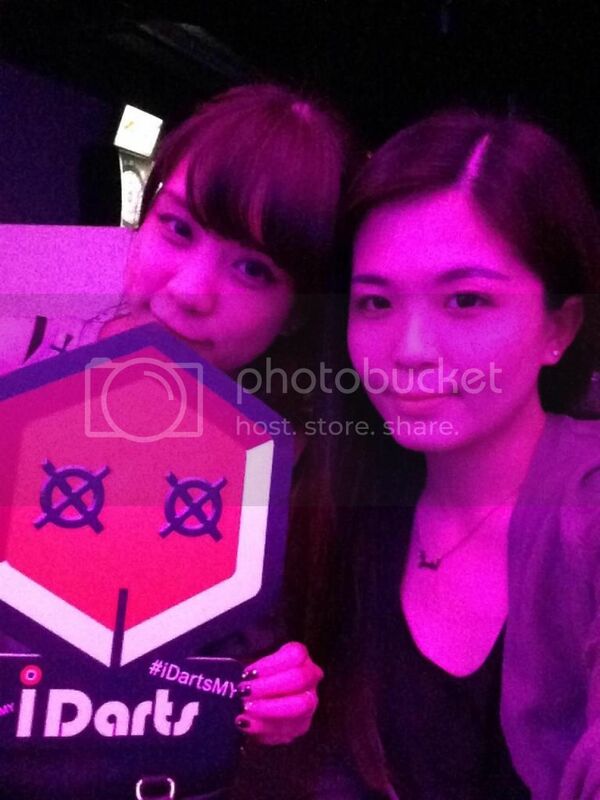 iDarts has helpful instructors at their outlets, ready to guide us to make our way to the top of the scoreboard. 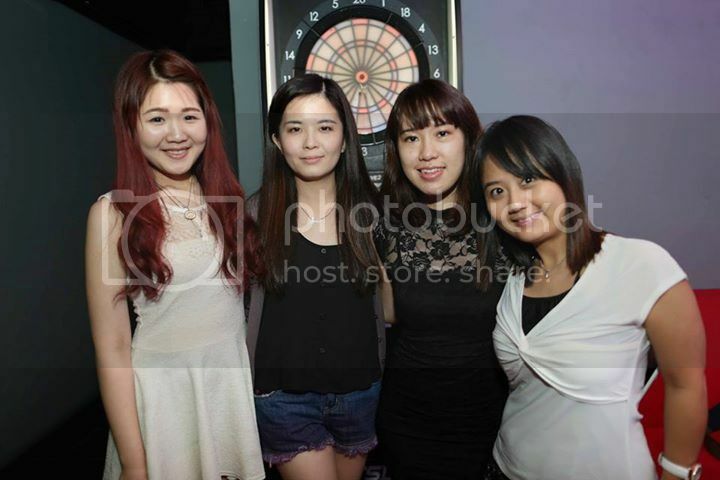 Siew Cheng was playing the darts. A photo with Don and the rest of the bloggers. 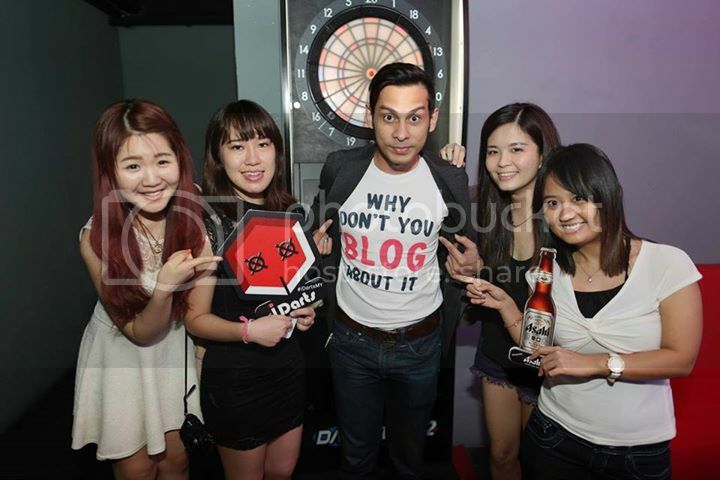 (: I love Don's caption tee 'Why Don't You Blog About It'. Maybe all the bloggers should get this t-shirt. Hehe. 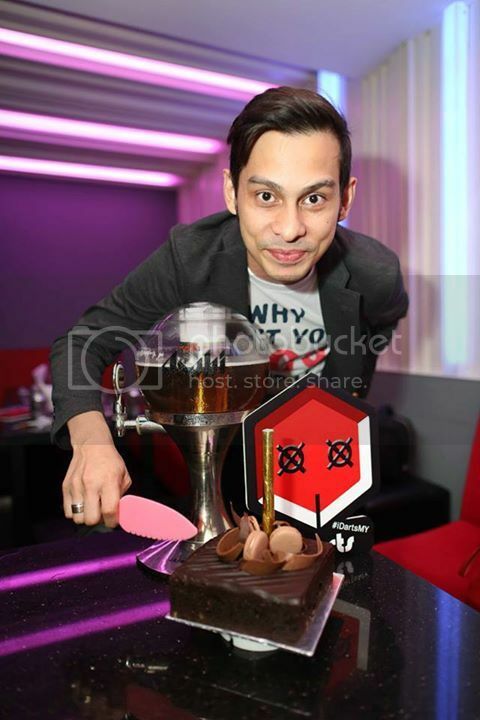 There's a cake cutting session on that night too. I enjoyed myself mingling with a bunch of bloggers. Thank you Manoah for giving me the opportunity to open up to the world to know more friends from different parts of the world.